Shot on my Olympus OM-1n with 50mm lens on Kodak Colorplus 200 ISO film at f1.8 1/30th sec. 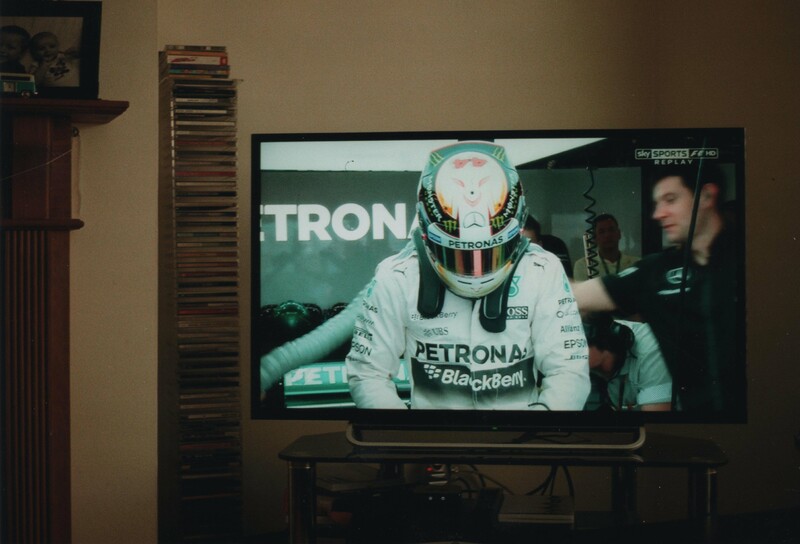 People who know me in real life, not just internet-land, will know I have a serious love for and perhaps obsession with motor racing and Formula One in particular, this shot was taken in my girlfriend’s living room and is of Lewis Hamilton, probably, during the weekend of the Chinese Grand Prix this year. I love how crisply the picture on the television has come out and especially how the blueish grey tones of the car, race suit and background of the Mercedes racing team has come out, giving it a nice cooling look.